After a Reykjavík city tour head north from Iceland’s capital to West Iceland where we are introduced to the Icelandic sagas in the settlement centre in Borgarnes. The afternoon is filled with impressive natural spots: Deildartunguhver, one of the most voluminous hot springs in Europe and Hraunfossar, the unique waterfall that drains from under vast lava fields into the river Hvítá. End the day with Icelandic history at the cultural site at Reykholt. 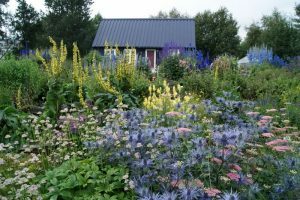 Overnight is in West Iceland. Included activity: Glacier tour by a monster truck and visit to the world’s largest man-made ice cave. The day starts with climbing the Grábrók volcano crater within an old lava field in West Iceland. 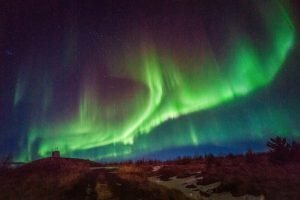 Afterwards, we travel through the fertile farmlands and fjord landscapes of Northwest Iceland, with a visit to the beautiful town of Akureyri, Iceland’s second largest city. Then stop at Goðafoss, “the waterfall of the Gods,” before reaching our accommodation in Northeast Iceland where we stay for the next two nights. The day begins out to sea with a 3-hour whale watching cruise from Húsavík or Akureyri (weather permitting). We tour the Lake Mývatn area, considered one of the most fertile areas in the world so close to the Arctic Circle. 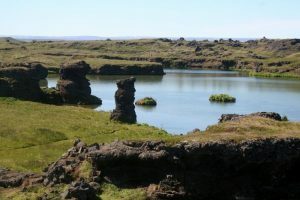 The lake’s unique features are shaped by nature – strange lava formations, pseudo craters, attractive bays filled with thousands of birds. There is a stroll through the lava field of Dimmuborgir and soak at the Mývatn Nature Baths. 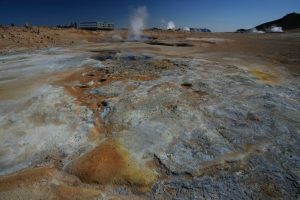 We start today by exploring the geothermal area of Námaskarð and seeing the impacts of volcanic activity at Krafla. On tour departures June to September we travel to Dettifoss, Europe’s most powerful waterfall in the northern part of Vatnajökull National Park. From there we head through the uninhabited highlands to East Iceland, where the night is spent. It’s a day to admire the dramatic fjord landscape and its tiny fishing villages at the end of twisty roads in the East Fjords. Soon we see Vatnajökull – Europe’s biggest glacier that is visible all over Southeast Iceland. Past the town of Höfn, we stop for a boat ride (May-September) amongst the floating icebergs on the glacial lagoon at Jökulsárlón. The night is spent near Skaftafell on the southern part of Vatnajökull National Park. 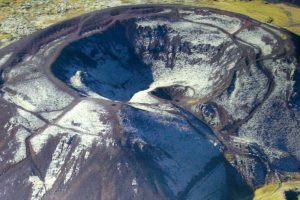 Visit Skaftafell at the Vatnajökull National Park, covered by ice and nestled below Iceland’s highest mountain, the 2110 meter Hvannadalshnjúkur. Then cross the sandy desert of the south coast, overlooked by mountainous cliffs, glaciers and waterfalls. We stroll along the black lava beach and bird cliffs near the village of Vík. Iceland’s past comes alive at the Skógar Folk Museum with its turf houses. We stop at Skógafoss waterfall and Seljalandsfoss waterfall. Overnight in South Iceland. Included choice of activities: Glacier hike or snowmobile tour or 2 hours round-trip hike to epic plane wreck on the black beach. We see classics today. We visit an Icelandic horse farm and a geothermal greenhouse. 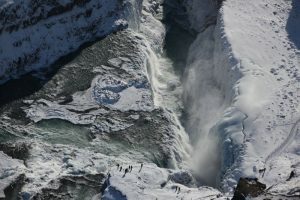 Follow this with Golden Circle sights: Gullfoss the beautiful double “Golden Falls”; the active geothermal area of Geysir, where we can see Strokkur “the churn” spout up to 25 meters (70 feet) every five to seven minutes. A visit to ancient Viking Parliament area of Þingvellir National Park tops it off before returning to Reykjavík. 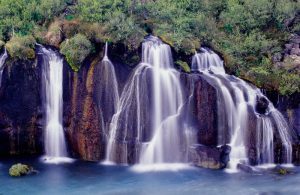 Included choice of activities: Snorkeling or river rafting or snowmobile tour or hiking or horseback riding or lava cave visit or visit man-made ice-cave and observatory deck at the Pearl. 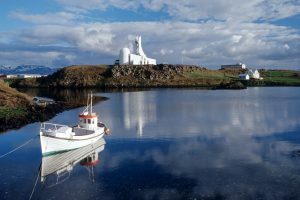 We explore the Reykjanes Peninsula with its hot springs, mountains, bird cliffs, lunar landscapes and fishing villages. Krýsuvík is an area with solfataras, fumaroles, mud pots and hot springs. The soil is coloured bright yellow, red and green. In the afternoon we warm up in the geothermal mineral-rich waters of the famous Blue Lagoon. 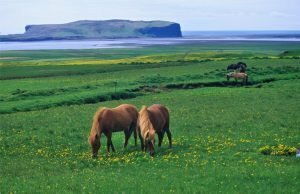 Included choice of activities: Whale watching from Reykjavik or hiking on the Reyjanes Peninsula or horseback riding or a gourmet dinner in Reykjavik.